Maylie Scott was the founding abbess of the Arcata Zen Group (AZG). She began her study and practice of Zen Buddhism in 1971 and was ordained as a priest in 1988. From 1990 until 1998 Maylie was a visiting teacher at Arcata Zen Group. Arcata Zen Group was formed in 1999 when she moved into her home in Arcata and directed the conversion of her garage into a zendo. Because she loved to walk in the nearby forest, she named the zendo Rin Shin-ji, Forest Heart Temple. She received full transmission in 1998 from Sojun Mel Weitsman. Maylie’s Dharma transmission name is Kushin Seisho, which translates as Vast Mind, Clearly Shining. In addition to her intense devotion to zazen, Maylie was a committed activist. She was on the Buddhist Peace Fellowship's Board of Directors, involved in anti-nuclear activities, and a founder of and mentor for BASE (Buddhist Alliance for Social Engagement). She was active both in Berkeley and Arcata in prisoner advocacy work, beginning an outreach group of Arcata Zen Group at Pelican Bay Prison. Maylie died in 200l. Her memorial stone is in our zendo garden. 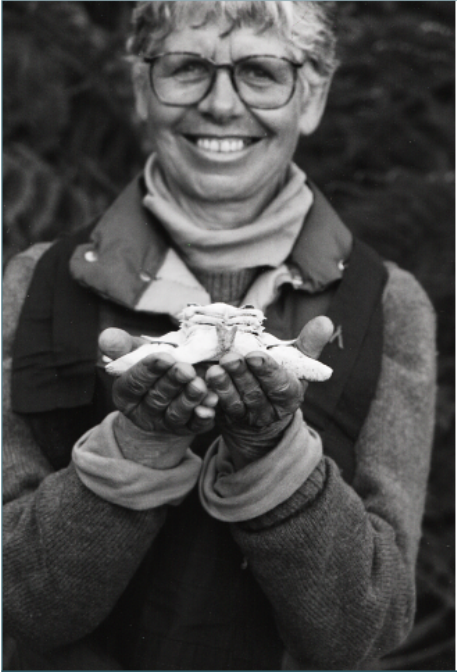 On May 10, 2001, after a brief illness, Maylie Scott Roshi died peacefully at her home in Arcata, California. She was the founding abbess of Rin Shin-ji, Forest Heart Soto Zen Temple in Arcata, Humboldt County, California. Her family was with her during the last weeks of her illness. Maylie was born March 29, 1935, grew up in New York City, and graduated from Harvard University in 1956. She married the same year, and after some travel, she and her family moved to Berkeley, California, where she received a Masters Degree in Social Work from UC, Berkeley. Subsequently she worked for Alameda County Mental Health as a therapist and administrator. She began her study and practice of Zen Buddhism with Sojun Roshi, Mel Weitsman, in 1971, was ordained a priest in 1988, and received full transmission from him during a seven-day ceremony at Tassajara in 1998. Alan Senauke, her dharma brother, received transmission at the same time. Maylie's Dharma Transmission name is Kushin Seisho, Vast Mind, Clearly Shining. Maylie called Sojun Roshi her "root" teacher, but another of her teachers was Maurine Stuart, Roshi. In the 1980's Maurine came periodically from the East Coast to lead women-only sesshins. Maylie was one of the women who attended, and through those encounters, they became close friends. In addition to her intense devotion to zazen, Maylie was a "devotedly do" activist. She was on the Board of Directors of the Buddhist Peace Fellowship, involved in anti-nuclear issues, a founder of and mentor for BASE (Buddhist Alliance for Social Engagement), and was active in both Berkeley and Arcata in prisoner advocacy work. She toured Pelican Bay Prison, north of Arcata, and had developed a relationship with a prisoner there. From 1990 until 1998, Maylie was the visiting teacher for Arcata Zen Group. She came up every other month from Berkeley to conduct sesshin, to begin a BASE group, and to encourage our practice as well as to give greater structure to our loosely knit group. In July of 1999, she moved permanently into her home in Arcata and directed the conversion of her garage into a zendo. Because she loved the redwood forests and walked almost daily in Arcata's nearby Redwood Park, she named the zendo Rin Shin-ji, Forest Heart Temple. In the month and weeks and days before her death, both while in the hospital and at home, Maylie was surrounded by family, friends, and students. After she was released from the hospital, she insisted on seeing anyone and everyone who wanted to see her. A schedule was set up for people to see her one by one for 10 or 15 minutes. More formally family, students, and friends were invited into her room four times a day to sit for 15 minutes and to chant the Heart Sutra. Rose B., an RN and close disciple of Maylie's, directed these gatherings. Family members always joined in. After Sojun Roshi, Alan Senauke, and Mary Mocine, a priest at the Vallejo Zen Center, arrived they, too, were present to support our sitting and chanting. Early in the week that Maylie died, it was decided that these sittings and chanting should take place in the zendo. 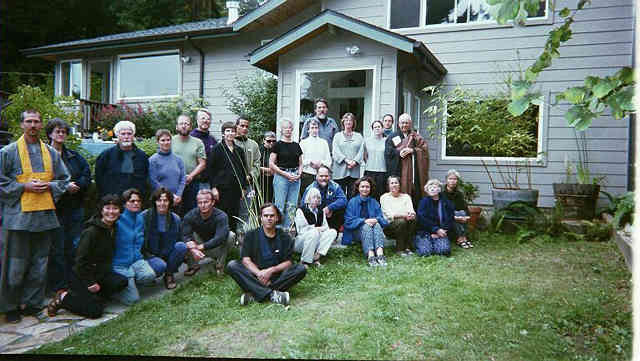 Some of Maylie's students as well as Alan and Mary were sitting together at 4:15 on the afternoon of May 10 when word came down from the house that Kushin Seisho, Maylie Scott, Roshi, had died. After the family had spent time with her, and Mel, Alan, and Mary had shaved her head and their own, the rest of us went to her room where she lay in her robes, covered with bright flowers. We crowded around her bed and stood quietly for a time before ceremonies began in the flower filled, candle-lit setting where so many of her students had had dokusan with her. Her body was then carried downstairs from her bedroom and placed in an open, plain pine coffin, made by one of Maylie's longtime students, in the living room. The coffin was then carried down to the zendo. The ceremonies in the zendo, led by Sojun Roshi and assisted by Mary and Alan, then began. All present had a chance to ask questions of Sojun Roshi and to offer flowers and words to Maylie. After some three hours, the thirty-five to forty people present returned to Maylie's house for food and drink. The following day at noon, Alan led the circumambulation of the coffin as we chanted the names of the Buddha's and bodhisattvas. People who had not been present the previous evening had a chance to speak to or about Maylie. On Monday morning, May 14, there was a last gathering in the chapel in nearby Eureka where Maylie was cremated. Like all the other ceremonies, it combined Buddhist and Christian elements. It began with chanting of the Heart Sutra, certainly Maylie's favorite, followed by recitation of the Enmei Jukku Kannon Gyo. In the Soto Zen tradition, this is traditionally chanted 21 times for 49 days for the deceased. Maylie had told her students that she had done this for her and her sister's mother. We at Rin Shin-ji did the same for Maylie. After the chanting, Father Erik Duff, of St. Albana's Episcopal Church, opened comments with a tribute to Maylie. While Maylie was at home, he had administered the Eucharist to both her and Mother Mary John, Maylie's sister, as well as to other members of the family, who attended St. Alban's the three Sundays they were in Arcata. There followed a vocal solo by her son John and comments by members of the family and by some of Maylie's students and friends. Near the end of the service, we read: Compassionate ones, protect your daughter, Kushin Seisho Daiosho, Maylie Scott, Roshi, with the endless merit of your great vows. On the evening of Maylie's death, in response to a question, one of Sojun Roshi's teaching's was: "No Regrets"
But the dust does not stir. So what do we do with our beliefs? I can't quite swallow the idea that it is possible to have no beliefs. I think that all of us have them, and they are diverse and not necessarily long-lasting although they may be. And we really believe them and we can become pretty attached to them and have pretty strong reactions when an aspect of our belief system is challenged. If you are somewhat familiar with the Heart Sutra, you can hear this all being played out with the two bodhisattvas talking to one another, Shariputra and Avalokiteshvara. Well, that's a belief, and that can seem remote, irrelevant, or not. Then there is the difficult stuff about form is emptiness and emptiness is form. That can be dismissed as just too difficult, or it can be filed. What does that mean? Then there is a long section about taking apart everything - nothing: no teachings, no person, nothing, nothing. Then the last section is this great BOOM, BOOM, BOOM, the drumbeat of THIS IS THE GREAT MANTRA, THIS IS IT! So, what do we do with that? So we all have, I believe, beliefs with which we operate, and the question is how do we hold the beliefs and how do the beliefs help us to connect with one another and the world? And how do we use the beliefs so they don't separate us from experience? The teaching is that we hold the beliefs somewhat lightly on the basis of prajna paramita, this non-dual understanding. I want to make rather an odd switch to a book I have just been reading, "Of Wolves and Men," by Barry Lopez. He has spent a lot of time with the Eskimo and a lot of time for this book in researching wolves. He is noticing the way our culture looks at animals and the way people who are largely unaffected by our culture look at animals. There's a whole study of wolves that compiles behaviors and types, et cetera, that gathers knowledge about wolf behavior and then makes certain generalizations. This is very different from the way the Eskimo live with the wolves, the way they consider them. The wolf the Eskimo sees is a variable creature who does things because he is a certain age, or because it is a warm day, or because he is hungry. Everything depends on so many other things. Anagook [that's the Eskimo word for wolf] may be a wolf with a family who hunts with more determination than a yearling who has no family to feed. He may be an old wolf alone on the tundra tossing a piece of caribou hide in the air, running to catch it. He may be an ill-tempered wolf who always tries to kill trespassing wolves wandering in his territory, or he may be a wolf who toys with a red-backed mouse in the morning and kills a moose in the afternoon. Examine some of the [until recently] basic precepts of wild-life science in the light of all this, such as that wolves kill primarily the weak, the old, the injured. Too simple, say the Eskimo. Temperature and humidity affect the wolf's and the caribou's endurance. Terrain affects their ability to run. For caribou and moose, the nearness of deep, open water is important. With no water to get into, even the healthiest caribou fall prey to the wolf because no caribou can outlast the wolf. Then he begins to write about the correspondence, the identity between the wolf and the Eskimo, how they both support themselves by hunting, and they have to be very skillful and persistent and know how to survive in the most extreme conditions. I would like to suggest that there is a correspondence between the worlds of these two hunters about which the reader should be both open-minded and critical. I will not try to prove that primitive hunting societies were socially or psychologically organized like wolves that lived in the same environment although this may be close to the truth. What I am saying is this: we do not know very much at all about animals. We cannot understand them except in terms of our own needs and experiences, and to approach them solely in terms of the Western imagination is really to deny the animal. t behooves us to visit with the people with whom we share the planet and an interest in wolves, but who themselves come from a different time-space, and who, as far as we know, are very much closer to the wolf than we will ever be. What, if anything, does this correspondence mean? I think it can mean almost anything if you are trying to fathom wolves. It became clear to me one evening in a single question. An old Eskimo man was asked who, at the end of his life, knew more about mountains and foothills of the Brooks Range, an old man or an old wolf? Where and when to hunt? How to survive a blizzard or a year when the caribou didn't come? After a pause, the man said, "The same. They are the same." The remark has special meaning for what it implies about wolves. It comes from a man who has had to negotiate in polar darkness and whiteouts when the world surrounding him was entirely without the one thing indispensable to the western navigator, an edge. Anthropologist Edmond Carpenter has written about the extraordinary ability of polar Eskimo to find their way about in a world that is often without horizon or actual points or objects of reference. What the Eskimo perceives is relationships, clusters of information that include what type of snow is under foot, the direction and sound against a parka wrap of wind, any smells in the air, the contour of the landscape, the movement of animals and so on. By constantly processing this information, the Eskimo knows where he is and where he is going. By implication, the Eskimo suggests that the wolf does something similar. So what do we do in this world that we have beliefs about, but essentially we don't know. And sometimes there is a whiteout, sometimes there is a blackout, and then what? It is said that the Middle Way has no point of reference, so how do we find our grounding in a place where there is no point of reference? Moving on now to my own situation, I discovered on Friday that I have quite an aggressive cancer, cancer of the colon metastasized to the liver. So, blackout, and there is a great deal to take in. I'm feeling okay; I'm feeling pain free and not too uncomfortable but very weak. The weakness makes it natural to just be very slow and close to the breaths as they come in and go out. I also feel that I have had a wonderful life, and I don't need to hang on. And we don't know. It could be quite soon; it could be not quite so soon. So a very complex blizzard with so many of us involved and so many really deep, heart connections. How can we be together in this transition time? How can we open our hearts to one another and learn? Great teaching. Greatest teaching. Suzuki Roshi said, "Death is the best teacher." How can we, in our individual ways and as a group, draw together? And, of course, there is great sadness. There are long, life-long relationships. It is good to be able to express that, and I welcome--I really welcome--people calling and dropping in. Actually, not dropping in but calling first. Of course, everyone has been really supportive and helpful. Often when the telephone rings, I get a little "Ah! Oh!" Someone is there so to call, that's fine and to come and have a little visit, that's fine too, and let's see what we make of this together. I'd like to end by reading a short poem by Jane Hirshfield called "Tree." It is foolish to let a young Redwood grow next to a house. Even in this one lifetime, you will have to choose. That great calm being, this clutter of soup, pots and books. Already the first branch tips brush at the window. May I know and be intimate with body mind, whatever its feeling or mood, calm or agitated, tired or energetic, irritated or friendly. Breathing in and out, in and out, aware, moment by moment, of the risings and passings. May I know that my peace and the world's peace are not separate; that our peace in the world is a result of our work for justice. Beside you, easy in her being, no big deal. who unimpeded, knows her way well. to tame our unruly group. and eat oryoki with the best. until we grew together in strength and love. through this realm's dharma gate. No longer through the door but with our breath.